This heavy-duty cast iron 80-lb base is designed to keep your outdoor market umbrella upright and stable. The threaded dual-piece 17.5-in stem design allows quick easy assembly and adjustment to either free-standing or thru-table applications. Accommodates umbrella poles up to 1.625-in diameter. 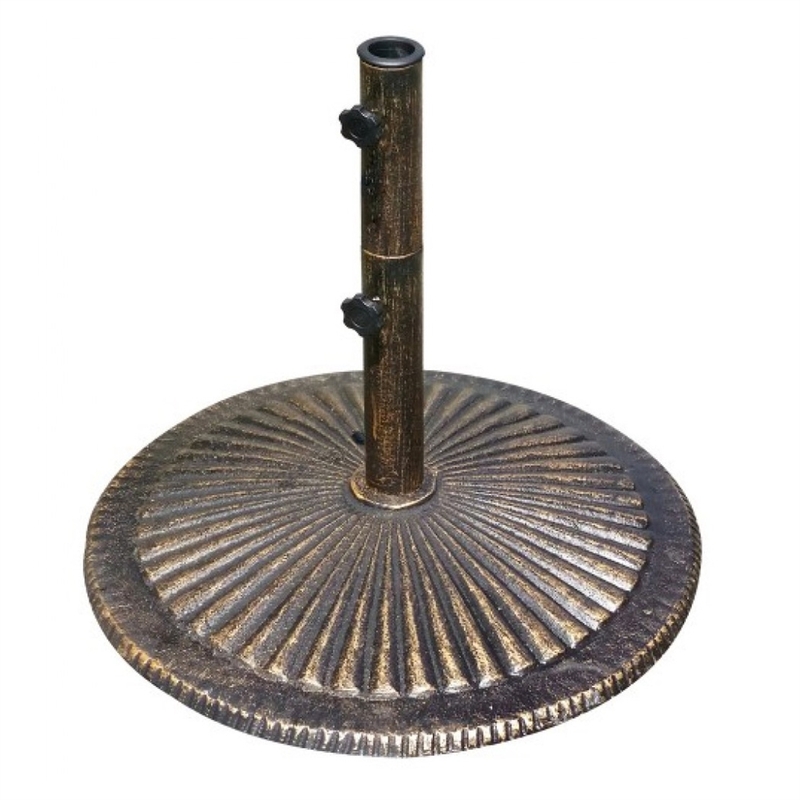 The beautiful weather-resistant antique bronze finish compliments any outdoor décor.